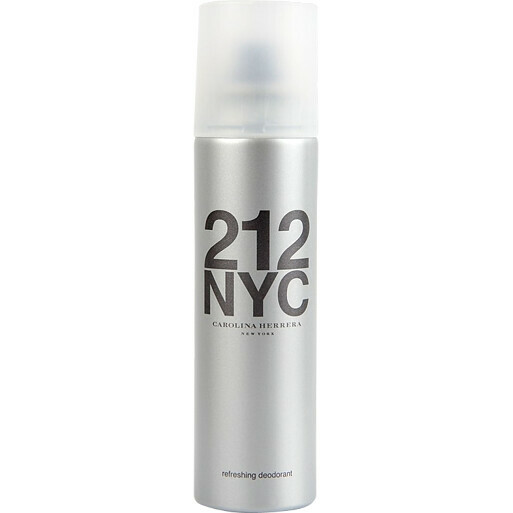 Beautifully scented with the luminous 212 scent, this spray will keep you fresh and dry all day long. A long-lasting, offbeat, light floral fragrance with musk undertones to personify today's playful and modern Cinderellas. Top Notes: orange blossom, mandarin orange, cactus flower and bergmot. Heart Notes: white camelia, lily, gardenia, freesia, jasmine and rose. Base Notes: sandalwood and musk. Carolina Herrera 212 Refreshing Deodorant Natural Spray 150ml is rated 5.0 out of 5 by 1.